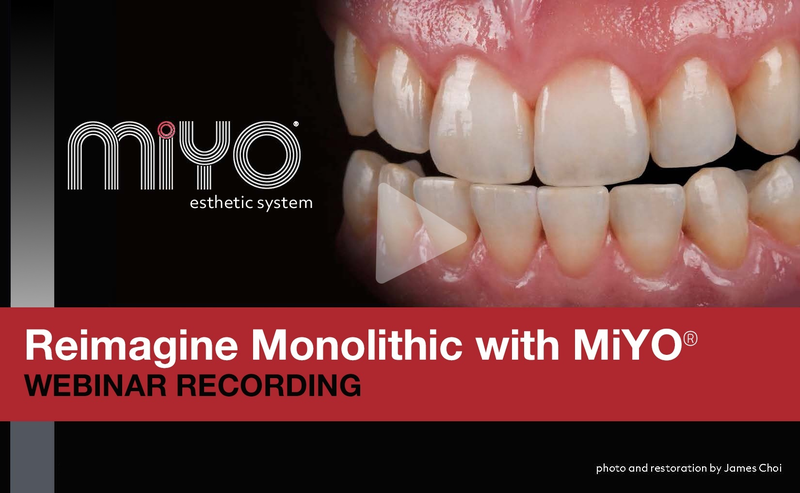 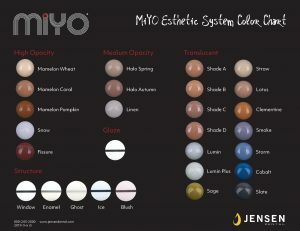 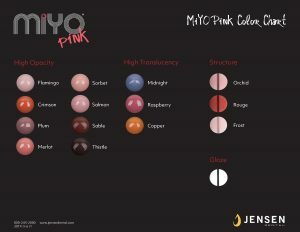 MiYO Esthetic System - Bring your monolithic to life! Different types of self-glazing colors with varying levels of translucency, each uniquely formulated to replicate nature's subtleties, such as incisal translucency, mamelons, crack lines, halos, and gingival tissue. Create depth, vitality, and texture found in natural enamel and tissue, in unprecedented thicknesses of 0.1mm-0.2mm, requiring no cut back or modification to CAD designs, making them ideal for full contour restorations. 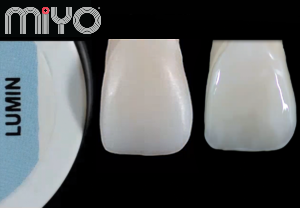 The MiYO® Pink Gingival System gives technicians the unique ability to create the depth, vitality and texture found in natural tissue, in unprecedented thicknesses of 0.1mm-0.2mm. 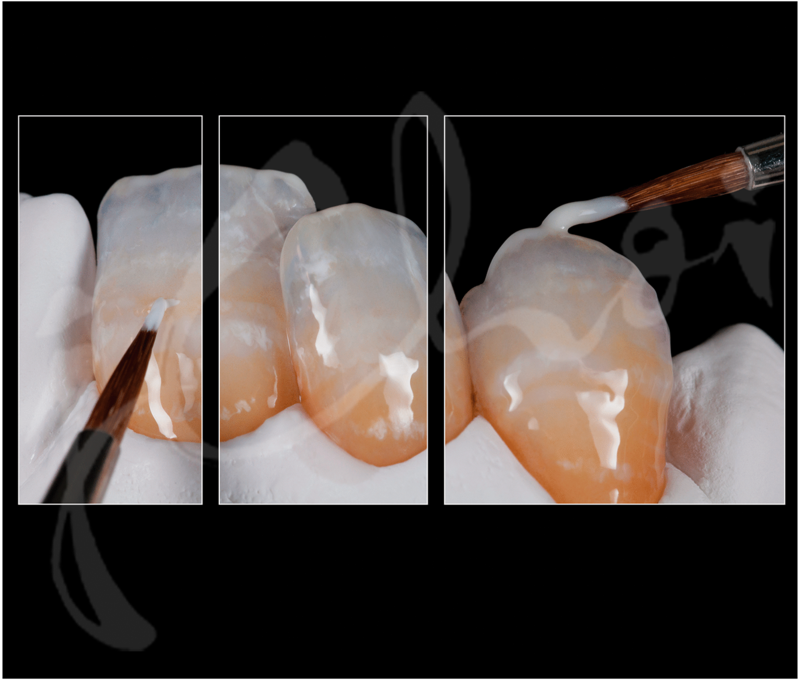 The system is comprised of 12 self-glazing colors (6 dense in opacity and 3 highly translucent) and 3 structure materials. 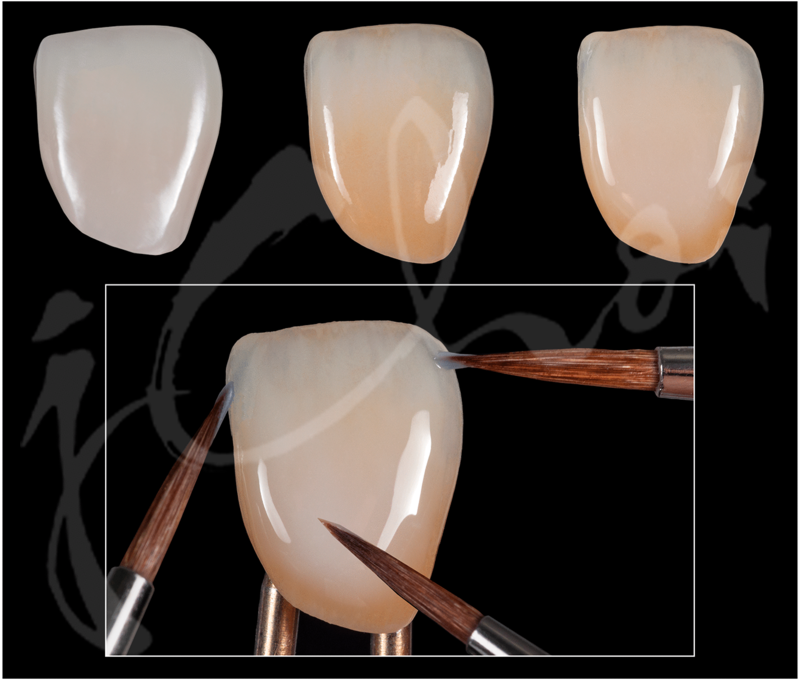 24 jars and 1 liquid all uniquely designed to create beautiful & detailed high-end esthetic effects for your zirconia & lithium disilicate monolithic restorations. 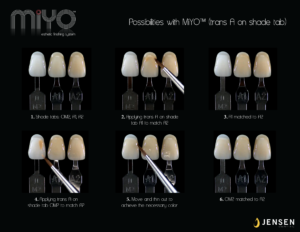 Translucent A, B, C, D MiYO range based colors allow you to easily hit your target shades faster and easier than ever before. 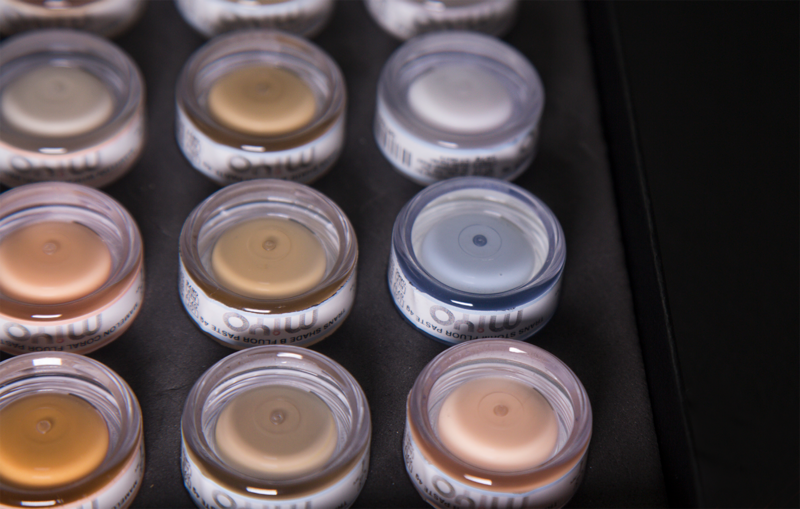 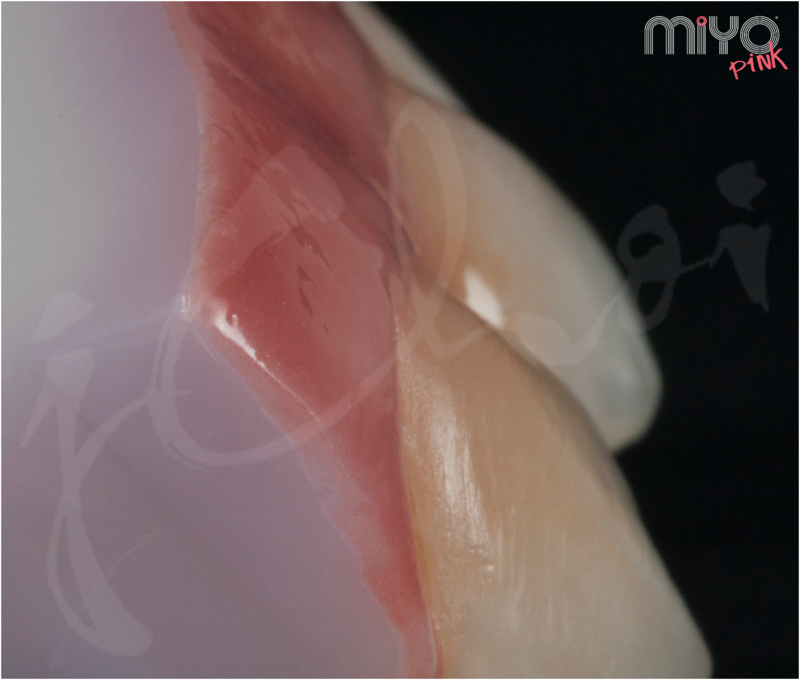 Increasing the value and translucency of your monolithic restorations at the same time is as easy as 1-2-3 with MiYO’s translucent colored glaze shade Lumin. 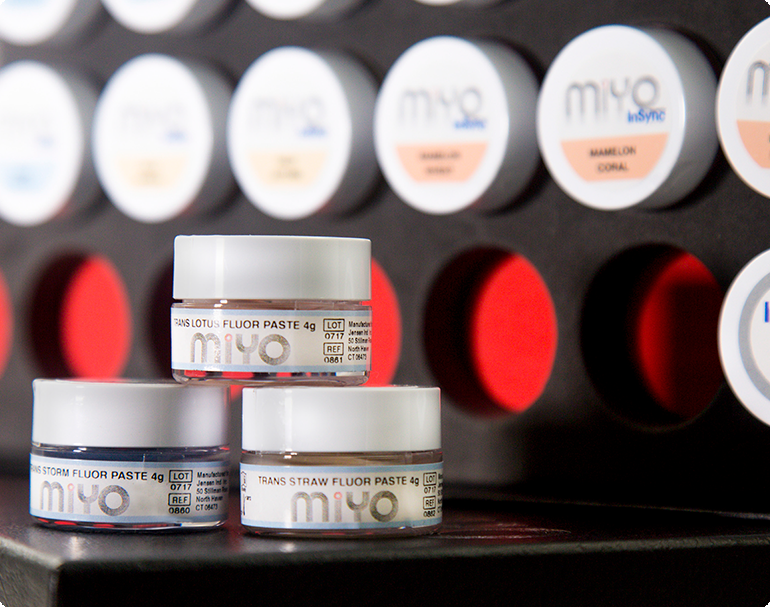 "It really gives life to my ceramics. 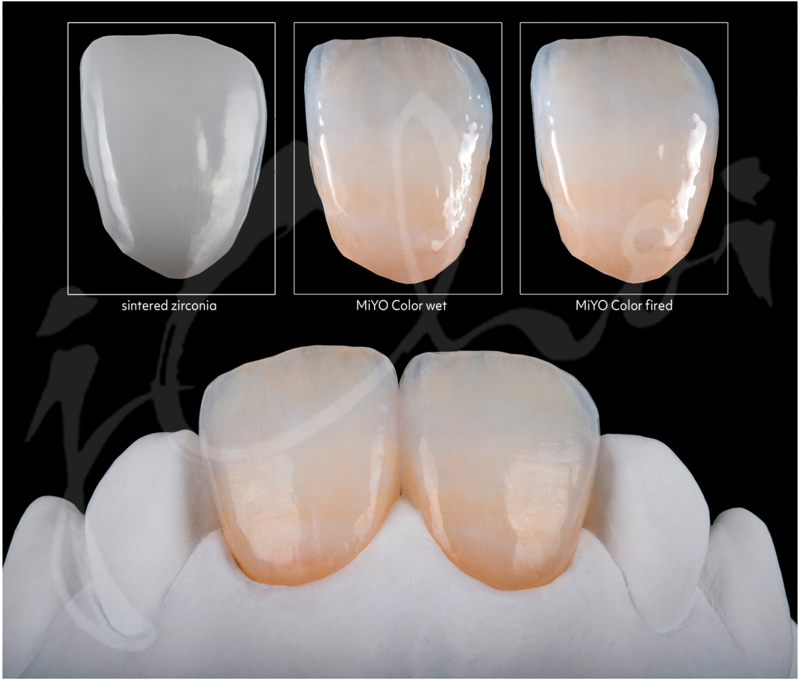 It also helps me to save cases that otherwise would have to be remade." 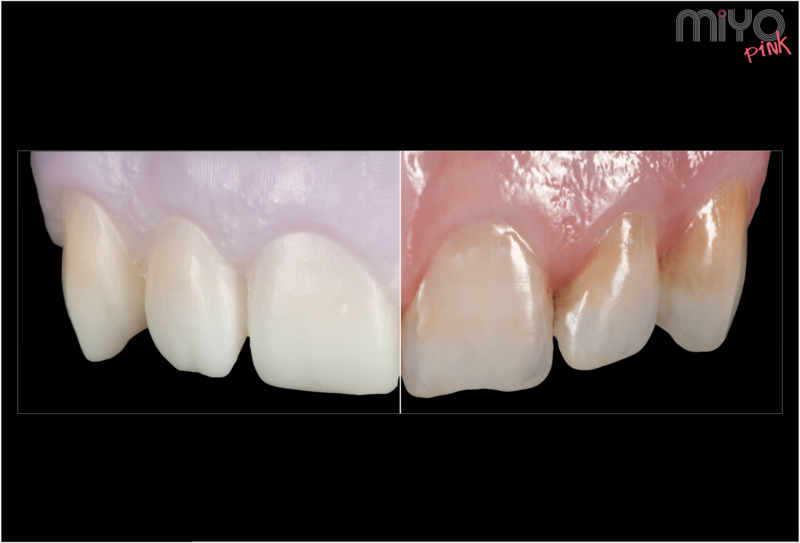 "I am able to change the value and hue of any situation that may arise and solve the issues that come my way in a commercial dental laboratory daily." 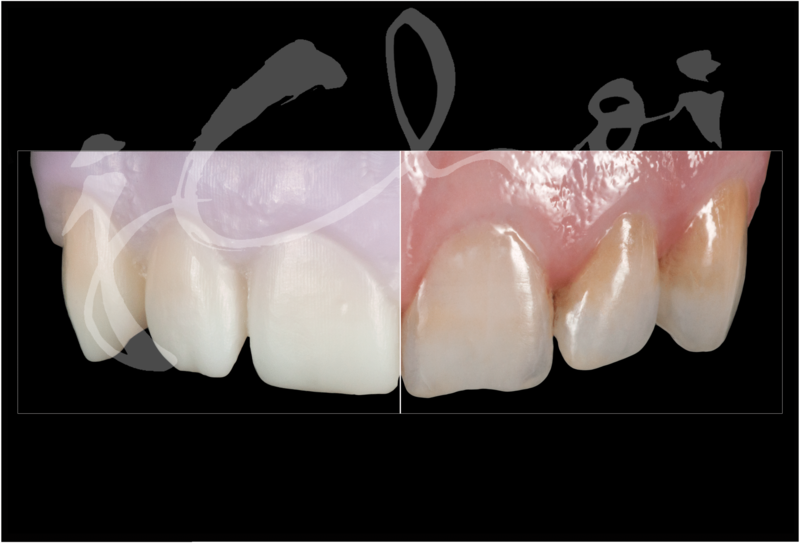 "The ability to take a run of the mill full contour unit and make it something special for our clients is a good thing. 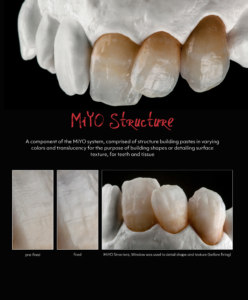 To do that AND give them a competitive price is a Great thing!" 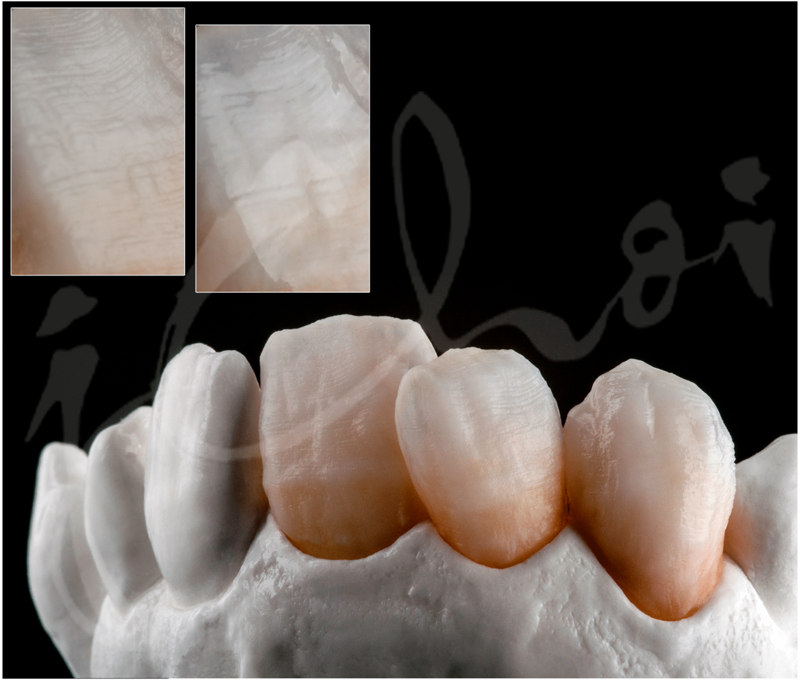 Call 800.243.2000 or send us a message below.